BRYAN EATON/Staff photo. 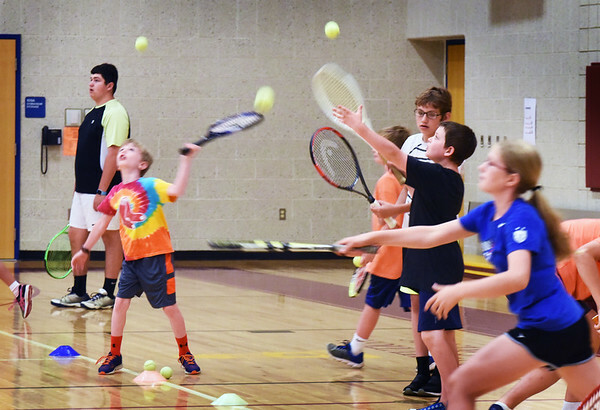 Tennis balls were flying everywhere in the Bresnahan School gymnasium on Thursday morning as youngsters take lessons in the Newburyport Youth Services summer program. They usually meet at Atkinson Common, but the wet courts brought them inside.